During your time in college you will experience pressure to “go out,” but what most students don’t realize is that you can have just as much fun, if not more fun, right there at home. If you couldn’t tell, that was a joke. If you didn’t find it funny, then take solace in the fact that I won’t be pursuing a career in comedy anytime soon. Jokes aside. What started out as trying a new game for the first time, “Settlers of Catan,” turned into a competitive burning passion for my entire friend group. My friends, and I could frequently be found in the midst of a heated game of Catan. 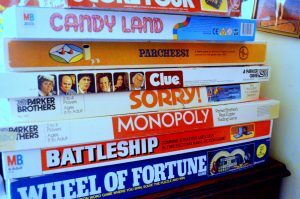 Game nights, ranging from Monopoly to Charades are a fantastic way to enjoy your present company, a great way to meet new people, and the best way to make most of your time at Madison.